Preview & Swatches: Essence All That Greys TE - 7 Shades of Rose and Grey palette - Cherry Colors - Cosmetics Heaven! 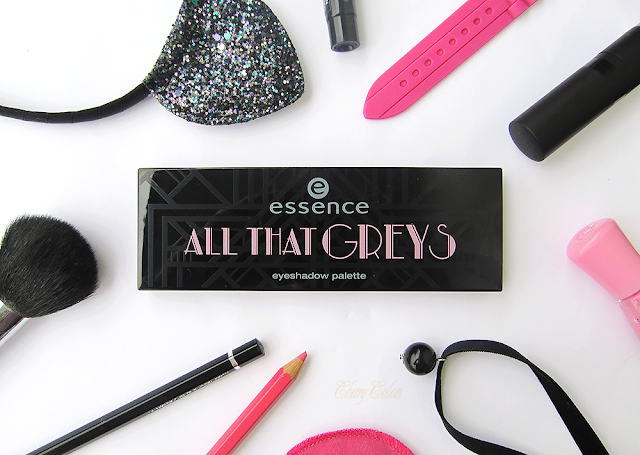 Yesterday I received the palette from the upcoming All That Greys Trend Edition by Essence. It will be available in stores from mid-November to December 2015. Rose, red & grey! 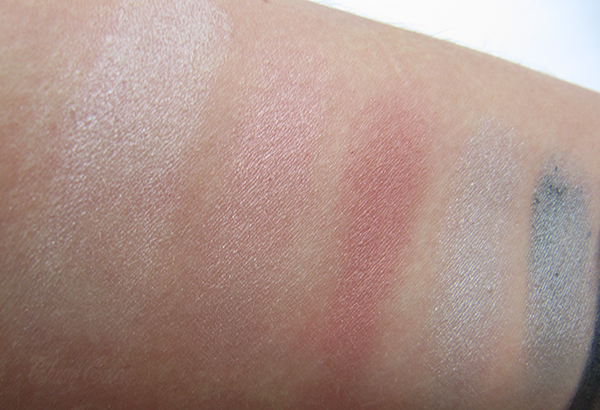 the eyeshadow palette offers the entire colour range of the trend edition with seven different shades. the soft, powdery texture with a high coverage is easy to apply with the duo-applicator. thanks to the integrated mirror, you can refresh your make-up on the way from the dance floor to the bar. Well, I wasn't all that excited about this palette when I saw the PR pictures, but it's mostly because I own way too many palettes now and I'm feeling overwhelmed by them. It will get better once I decide which are here to stay (in my stash) and which are to be gone. This doesn't mean I wasn't overly excited when I got it in the mail. Nope! I was squeeing with glee and jumping around. Yes, I was that ecstatic! What to say, my language of love are gifts :P.
The shades are quite different from the PR pictures (are less pink and more orange-toned, which are so much more wearable). I was surprised at how buttery the shadows are. They are easy to work with and the brush part of the applicator is very handy. I used it once when I had to fix my makeup because I sneezed three times in a row, right after applying mascara. It was a mess, but the mess was somewhat manageable with some q-tips and the re-application of the shades. I can't talk about longevity, but I will update this post with my thoughts about this palette (and wearability) in the next weeks. 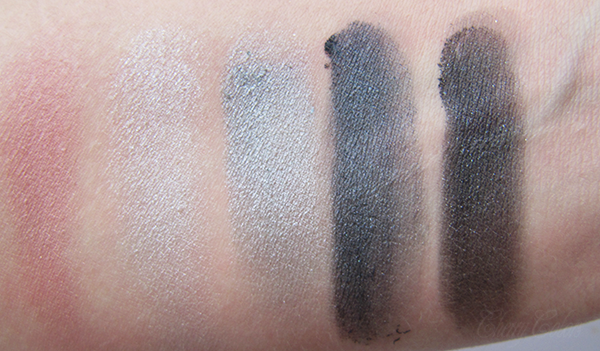 For now, just enjoy the pictures of this lovely upcoming palette.